welded connection and safer than a flanged connection. 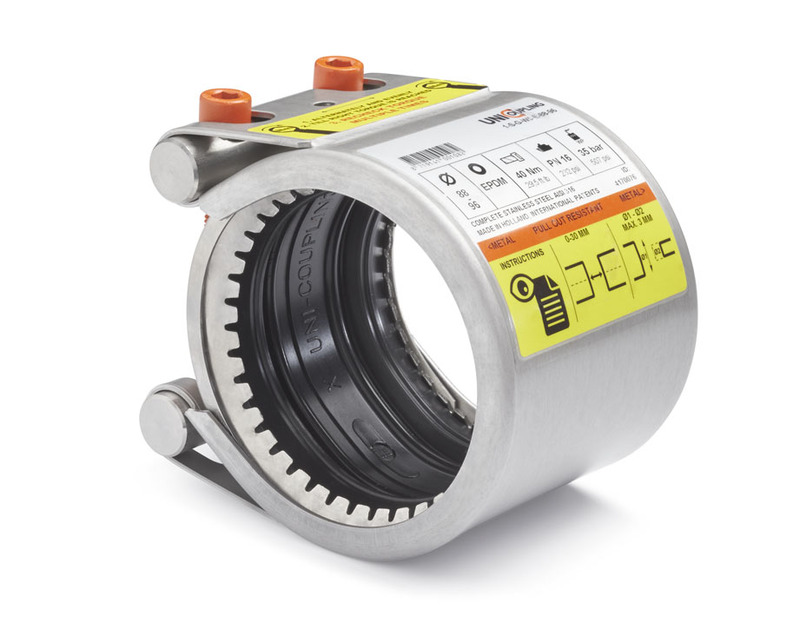 Product range designed to have a wider range which results in 25% less stock for couplings up to 172 mm OD. 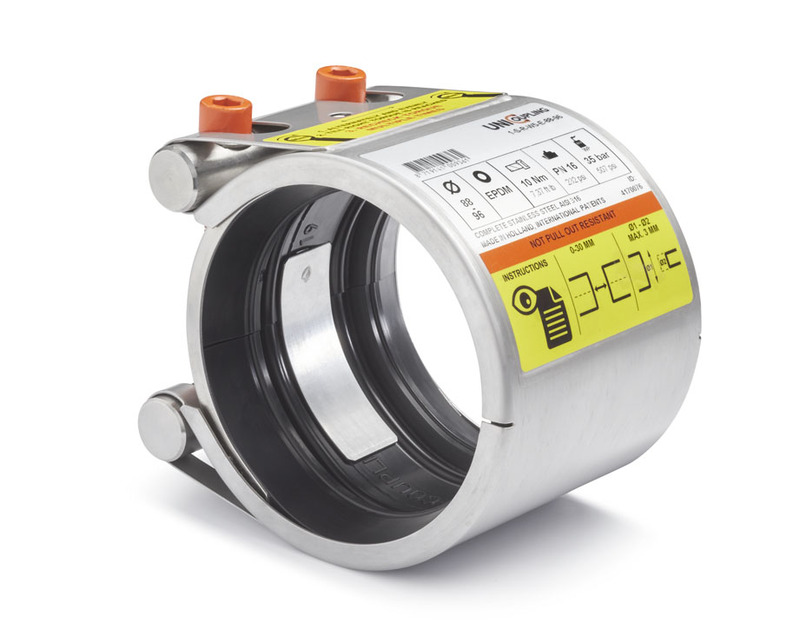 1 coupling for multiple pipe sizes, so no dead stock for uncommon pipe sizes. Ranges designed to combine uncommon with common pipe sizes. 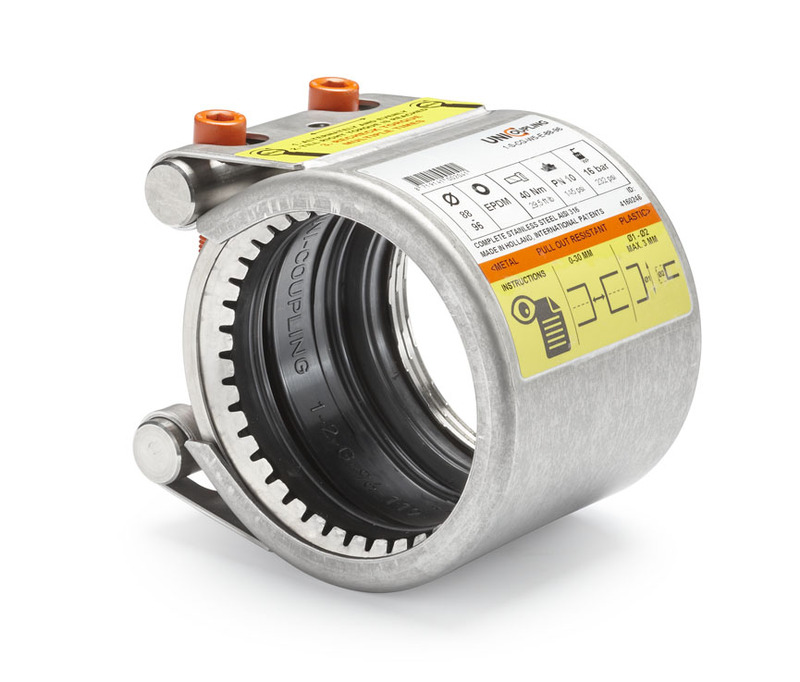 The complete coupling is standard produced out of 316 stainless steel material. The product range starts on pipes from 21 mm OD up to 750 mm on the grip type, flexible and repair solutions up to 4000 mm OD with bigger sizes available on request. Developed complete production facility to handle 5mm stainless steel thickness which makes it possible to achieve higher pressure ratings on all outside diameters. Improved and patented new gasket design to prevent the need for a strip insert inside the coupling. 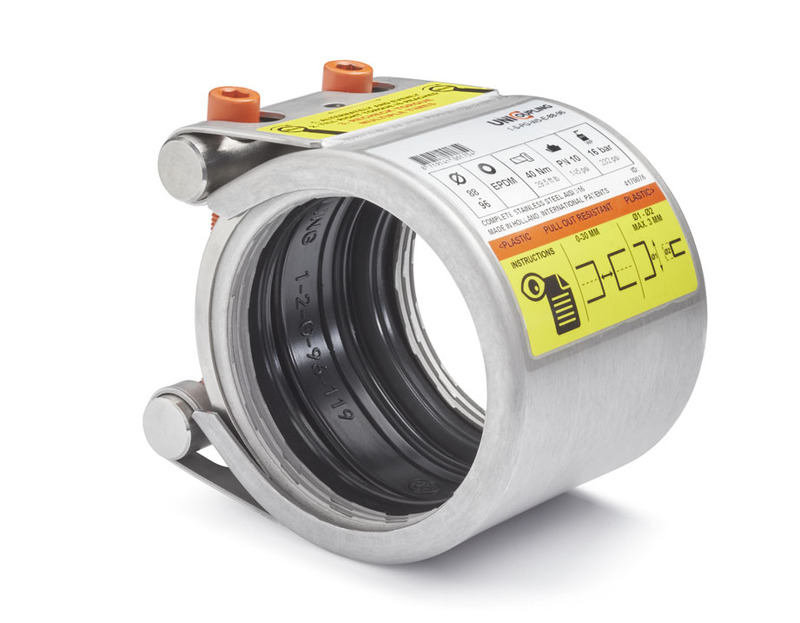 New patented grip-ring for a perfect and solid connection between metal pipes. 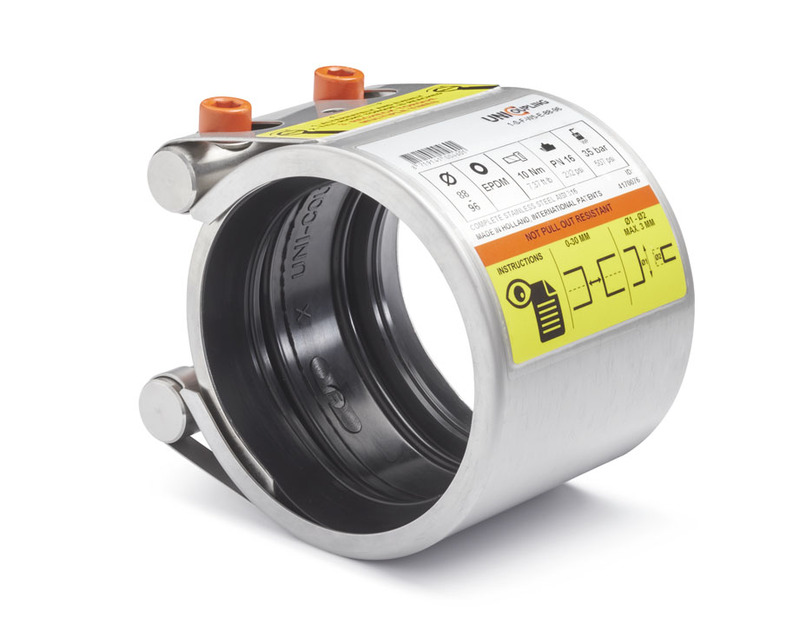 New patented plastgrip-ring for a perfect and solid connection between plastic pipes. The complete product range is produced in-house to have complete control on achieving fast delivery times.